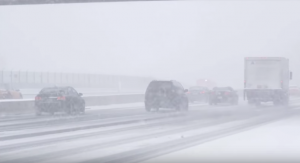 The US Midwest is freezing to death due to what meteorologists call a “once-in-a-generation” polar vortex, thereby putting people at high risk of instant frostbite. 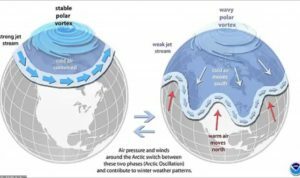 The polar vortex is a circulation of strong, upper-level winds that normally surround the northern pole, moving in a counterclockwise direction — a polar low-pressure system. These winds tend to keep the bitter cold air locked in the Arctic regions of the Northern Hemisphere– North America, Europe, and Asia. This could bring wind chill temperatures as low as -53C (-64F). Over the next few days, more than 83 million Americans, about 25% of the US population, will suffer subzero temperatures at some point. About 212 million people, 72% of the continental US population, will see temperatures drop below freezing. Chicago will be the “epicenter of the extreme cold”, with a low temperature that could reach 27 below zero by Thursday. Forecasts predicted that Chicago will be colder than Antarctica. 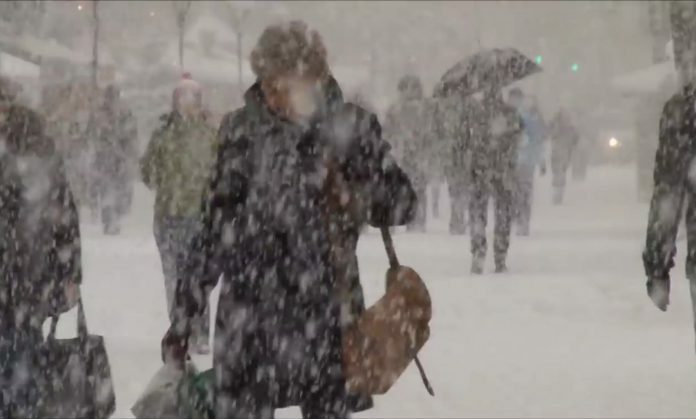 These below-freezing temperatures are hitting more than 55 million people at present. A state of emergency has been declared already to several Midwestern states: Wisconsin, Michigan, and Illinois. Southern states of Alabama and Mississippi are also going through the same thing. This deadly cold weather has claimed more than five lives already across several states. Frigid temperatures bring wind chills approaching negative 70. Frostbite is possible within just 10 minutes of being outside in such extreme temperatures. Frostbite is caused by freezing of the skin and underlying tissues. Fingers, toes, nose, ears, cheeks, and chin are the most common areas affected by it. In severe cases, frostbite can kill body tissue. The national agency warned people to limit the time being outside and if outside, to avoid taking deep breaths, and to minimise talking. 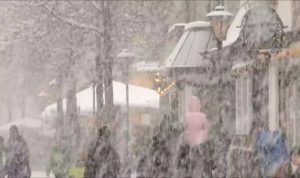 There were more than 2,700 flights canceled already across US airports for Tuesday and Wednesday. Amtrak train services to and from Chicago, operating 55 trains daily to and from the Chicago hub, were also canceled. Mail delivery will also be canceled in the following states: Illinois, Iowa, Minnesota, North Dakota, South Dakota, Wisconsin, and parts of Kansas, Missouri, Montana, and Nebraska. Hundreds of schools have been closed in the affected states. In Chicago, more than 100 schools have canceled classes. The state’s public schools chief executive, Barbara Byrd-Bennett, said in a statement that “it is in the best interest of our students to cancel classes”. Warming centers have been set up in Illinois to ensure the safety of homeless residents. Police stations have become shelters too for homeless people. As winter tightens its grip and people are faced with frigid temperatures, there were many reports of people being robbed at gunpoint for their coats. Police said that targets are those wearing pricey Canada Goose jackets, which can cost as much as £900 ($1,100). Animal rights organisations PETA and Humane Society International have warned people to bring animals inside, as it is illegal to leave pets outside in freezing temps for more than 30 minutes.